Item Number: H20-7285FY Have a question about this item? 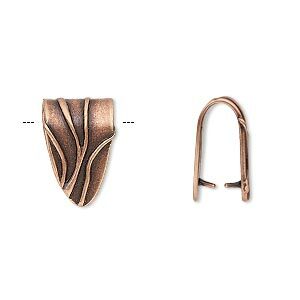 Fashionable copper ice-pick bails easily transform focal pieces into pendants. 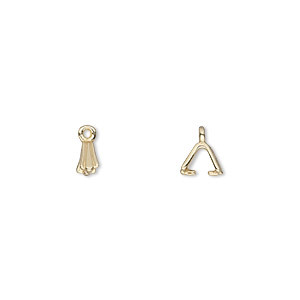 Designed especially for Swarovski crystal pendant components. With a dab of glue for added security, pinch the prongs around the drill hole of your focal component and let dry. 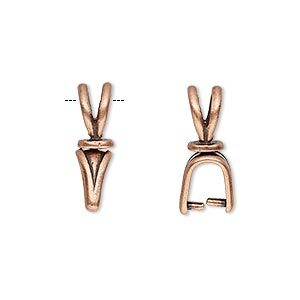 The bails are heavily-plated, highly polished and have an anti-tarnish coating for long-lasting color. The bail features a double-sided design. 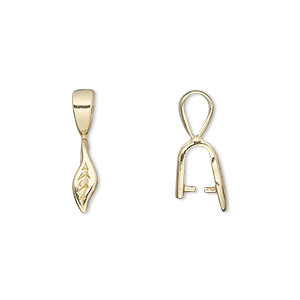 Bail, JBB Findings, ice-pick, copper-plated brass, 8x2.5mm with leaf, 3mm grip length. Sold per pkg of 10. 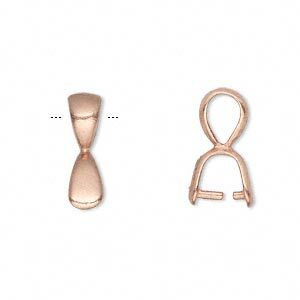 Bail, JBB Findings, ice-pick, copper-plated brass, 8x3mm, 4mm grip length. Sold per pkg of 10. 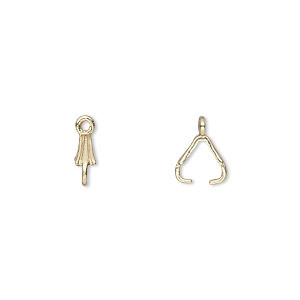 Bail, JBB Findings, ice-pick, copper-plated brass, 17.5x5mm, 5.5mm grip length. Sold individually. 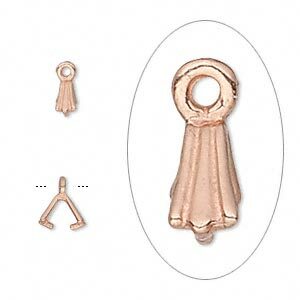 Bail, JBB Findings, ice-pick, antique copper-plated brass, 15x10mm shield with lines, 11.5mm grip length. Sold individually. 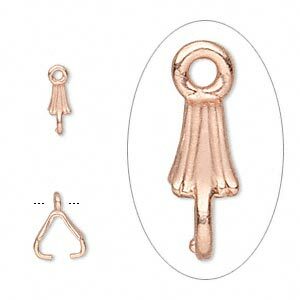 Bail, JBB Findings, ice-pick, antique copper-plated brass, 25x15.5mm leaf with 12mm grip length. Sold individually. 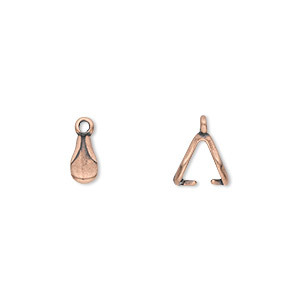 Bail, JBB Findings, ice-pick, antique copper-plated pewter (tin-based alloy), 8x4mm double-sided teardrop with fancy design and 6mm grip length. Sold per pkg of 4. 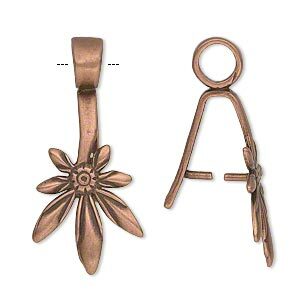 Bail, JBB Findings, ice-pick, antique copper-plated pewter (tin-based alloy), 19x5mm double-sided shield with lines and swivel, 6mm grip length. Sold individually.